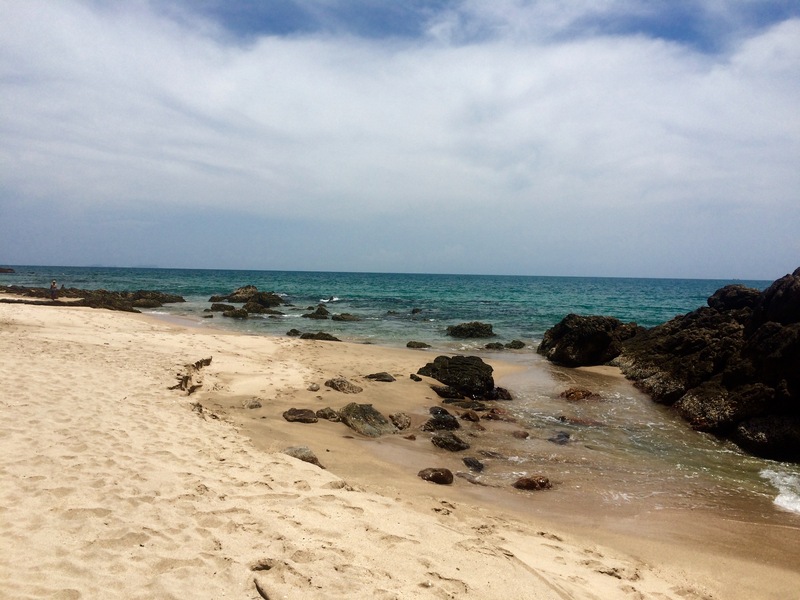 We stumbled on Koh Lanta, Thailand, when researching which islands we wanted to visit while in Thailand. We were wanting a wonderful beach location (as I am a sucker for a good beach), but we wanted something that was a little less “busy” but still has plenty to see and do. After lots of research, we decided on Koh Lanta, and now I call this my favorite Thai Island! Koh Lanta, located in the Andaman Sea, is only an hour boat ride from Krabi, so we decided to make a stop here between our Phuket and Krabi adventures. While we liked Phuket, it was too busy and full of people, so we were excited to experience the laid-back island of Lanta. It was truly luck that we decided to stay on the island for a few days, but it is such a beautiful island, we will definitely be back. Thailand has some gorgeous islands, including the Similan Islands, but Koh Lanta is the most gorgeous island with plenty of things to do and places to eat. It has a nice balance of development, nature, and relaxation. Lanta is known for 4 big beaches – Khlong Dao, Phra Ae, Khlong Khong, and Khlong Nin. We were so surprised at how beautiful, yet empty all these beaches were. The beaches towards the south along the west coast are the quietest, as the north of the island is where the ferry goes in and out of, so it is consistently busier. We booked our stay at New Coconut Bungalow, right on Khlong Khong beach. Khlong Khong is right in the middle of the island, with plenty of small and friendly beach bars. New Coconut, had a great bar, pool, restaurant, friendly workers, and A/C, which was much needed in the middle of April! A beachside guesthouse right next to the beach, cost us only $95 for 5 nights for a bungalow with A/C! As we explored the beaches, we decided our favorite beach was Ba-Kantiang Bay, further south from where we stayed, as it has white sand and is surrounded by natural hills and cliffs. 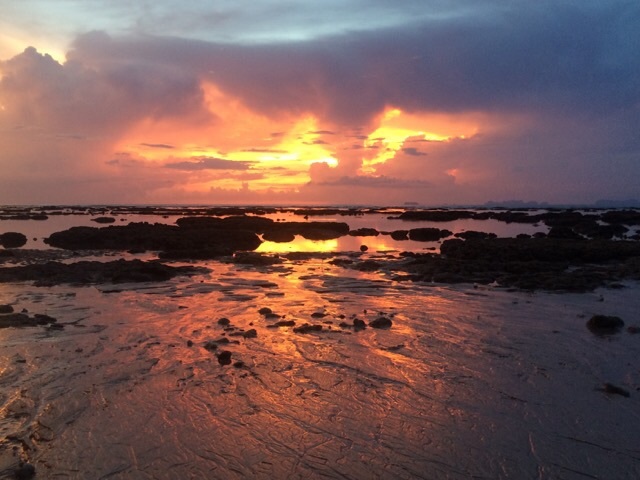 Koh Lanta takes the cake on the most consistent, gorgeous sunsets, we have ever seen. So many vibrant colors every night we were there! It was unbelievable! Each night we were there, we simply sat on the beach and enjoyed the sunset. We were here in late April, so right at the tail-end of high season, before the rains come. I’m sure the time of the year helps as well, as a good sunset needs some clouds! Plus you can just sit, or lay, at a beach bar and watch the sun go down, what could be better?! We were told that the Thais are some of the friendliest people you will meet, and it was true. Even more so on the little island of Koh Lanta. Compared to some of the other well known, such as Phuket or Phi Phi islands, the people on the island are truly genuine and caring about you as a visitor. 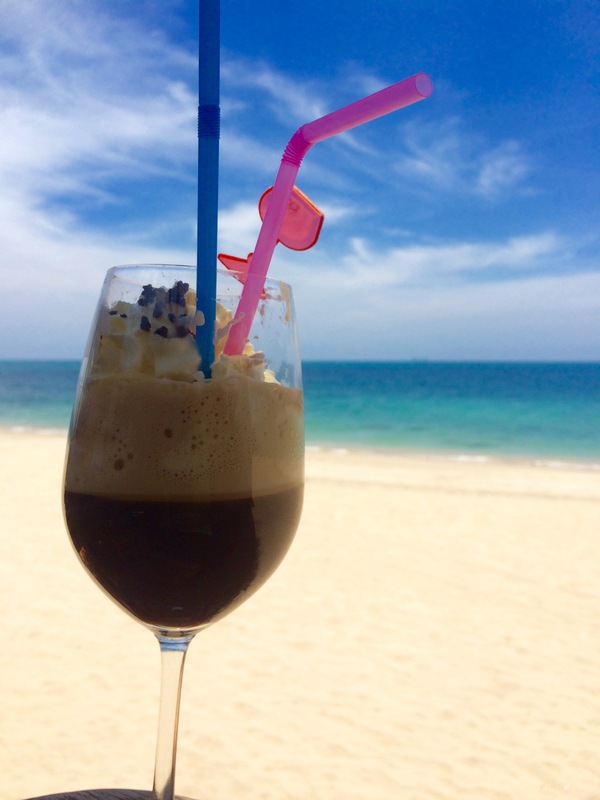 It is such a laid-back atmosphere on Koh Lanta, you really don’t have any cares in the world. Everyone here was so kind and welcoming, we really didn’t want to leave! Thailand is a very crazy place to drive! And we were crazy enough to rent motorbikes and ride around the island! However, Lanta is a small enough island that traffic is not too overwhelming. The roads are paved and there is only one road that goes north-south, so our choice to rent was pretty easy. 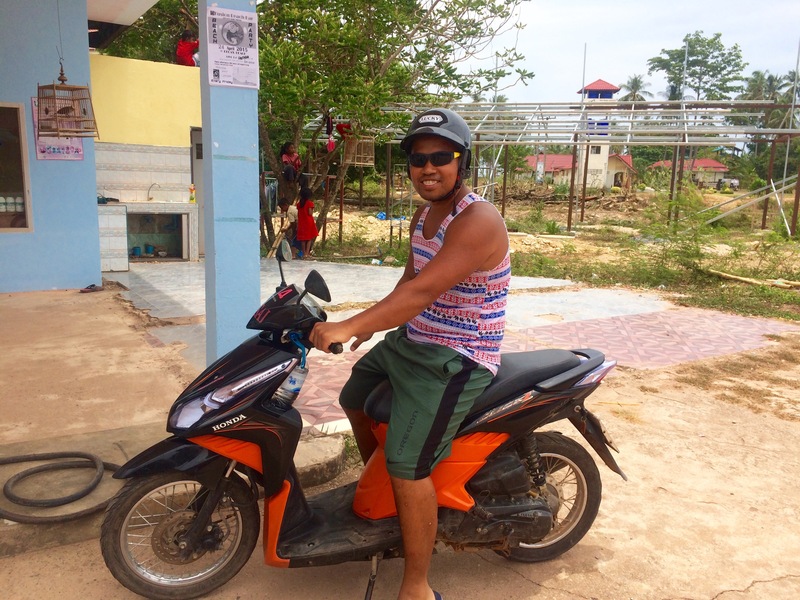 Although, I will say, I won’t be riding motorbikes many other places in Thailand! There was a nice little shop right near our guesthouse, but there are plenty of places that rent them out. All you need to rent one, is to give them your passport. It only cost us 200 Baht ($6) a day to rent an automatic bike. While I was still nervous to ride around on the bike, it was an awesome way to see the rest of the island. We even rented them for more days then we thought, because it was so convenient to just jump on your bike and travel along to other beaches. You can go along the whole road north to south in 30 minutes. Accidents are pretty common for foreigners though, so be careful when riding! When I was researching Koh Lanta before our trip, I had read about the Lanta Animal Welfare. I knew before we even got to Koh Lanta that I wanted to visit the animals there. Lanta Animal Welfare is a nonprofit sanctuary that cares for and sterilizes stray dogs and cats on the island of Koh Lanta, Thailand. Since it opened in the mid-2000s, Animal Welfare has sterilized and treated over 6,000 animals and is working to eradicate the unvaccinated dog and cat problem on the island, as most of the animals on the island, are strays. LAW is funded by profits from the restaurant, Time for Lime, and donations. You can take a free tour of the facility and learn more about what the volunteers do. You can even take the dogs for a walk! You can even adopt them if you want to take them home! 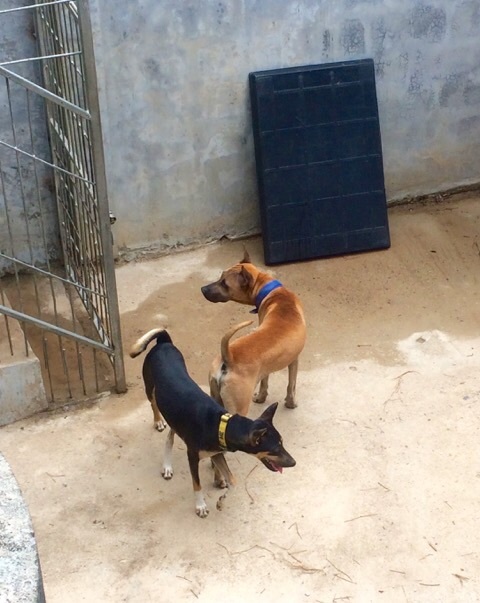 Lanta animal welfare is possible because of the volunteers and donators. We only stayed 5 days on the island, and we spent most of our time at the beach, or riding around on our motorbikes, so we could not do everything the island has to offer. It is also a good island for elephant trekking, hiking, snorkeling, and cooking classes. It is close enough to take a day-trip to other islands such as Phi Phi islands, Koh Rok, Koh Ha, and Krabi. 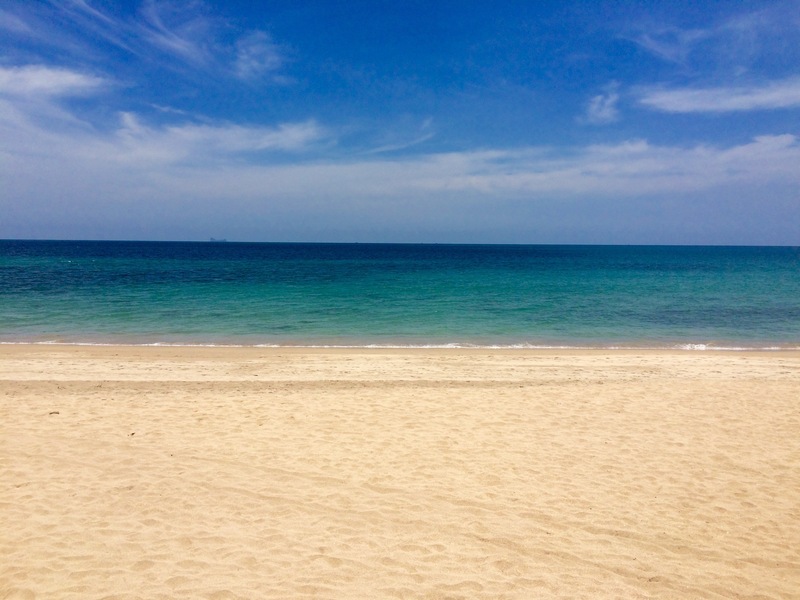 If you are looking for a gorgeous island while in Thailand with plenty to do, but not so much busy-ness, then check Koh Lanta out! We will definitely be back and hopefully when we do, it will be just as magical as the first time we stepped on the island! What is your favorite island that you’ve visited? 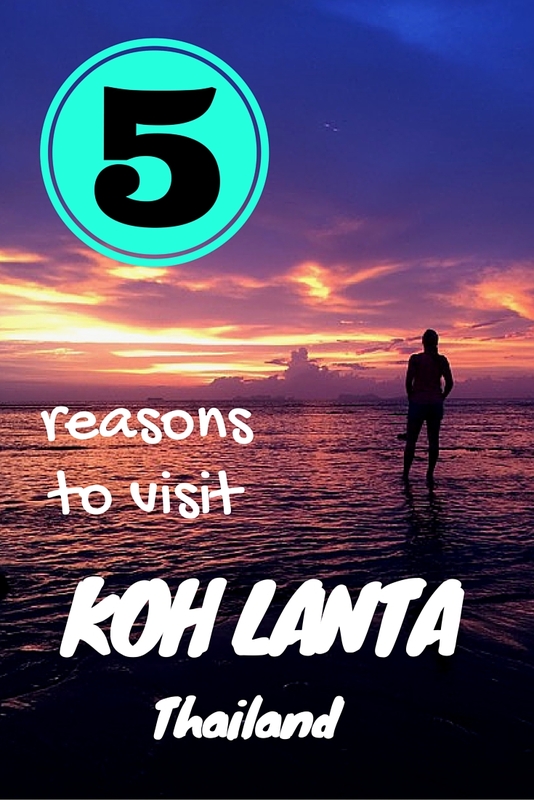 After reading this, I am definitely heading to Koh Lanta on my next trip to Thailand. Yes, please do! It is an amazing island! We planned to stay for 4 nights in Koh Lanta on our way to Langkawi, we ended up staying for 2 1/2 weeks and never made it to Langkawi! We had a wonderful time and like you say the beaches are beautiful and deserted. We will definitely be back. Great post! I am not surprised that you stayed for so long! We wish we would have stayed longer as well, but next time we will!